WASHINGTON, D.C. (April 8, 2013)--The National Association of Black Journalists (NABJ) is pleased to announce that Gregory L. Moore, Editor of The Denver Post, is to receive the Lifetime Achievement Award, the organization’s highest honor. 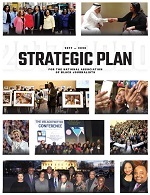 NABJ’s Board of Directors selected Moore for the award. "Greg Moore is an innovative and inspiring leader who has found creative ways to meet the unique challenges faced in an ever-changing newsroom," said NABJ President Gregory Lee, Jr. "Throughout his career he has been a newsroom leader who helped his team cover the day's big stories with the highest ethics, a bit of creativity, and a desire to serve the public. His career is certainly worthy of this recognition." Moore is one of several honorees who will be recognized at the association’s Salute to Excellence Gala on August 3 during NABJ's 38th Annual Convention and Career Fair in Orlando. "I am overwhelmed and gratified to receive the Lifetime Achievement Award,” Moore said. "It's an honor to be among some of the industry's greats. I am not done yet, but I am going to enjoy this. 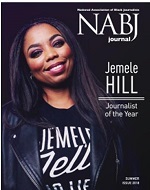 Thank you NABJ for making my day." Moore has been editor of The Denver Post since June 2002. Prior to that he was managing editor of The Boston Globe where he had earlier been deputy managing editor, assistant managing editor for local news, city editor, and senior assistant city editor. Moore has also reported for what was then the Dayton Journal Herald, before holding reporting and editing positions at The Plain Dealer in his native Cleveland. Moore is a 1976 graduate of Ohio Wesleyan University. He is currently co-chair of the Pulitzer Prize Board. A recipient of Journalist of the Year Award from the New England Chapter of the National Association of Black Journalists, he is also a former NABJ board member.